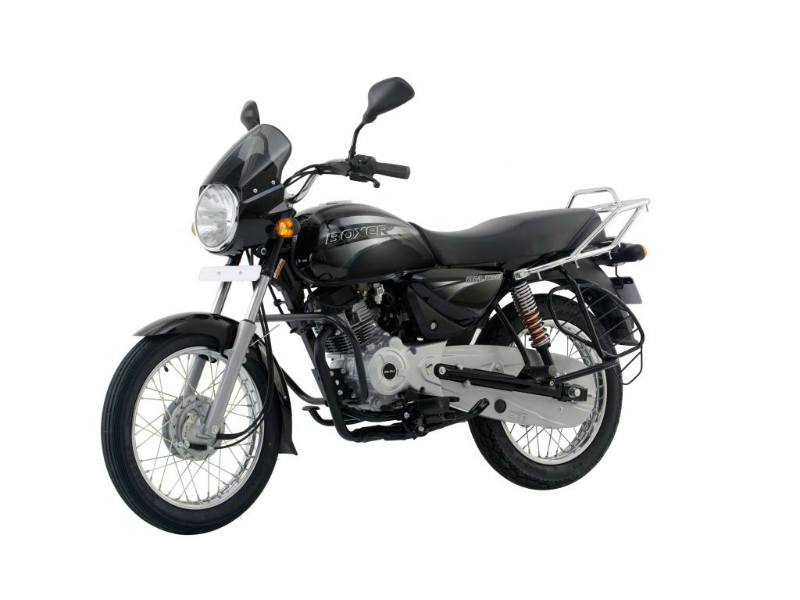 Bajaj Boxer BM 150 bike is known for its simple and macho looks perfect for a descent man. This is one of the most opted vehicle of the country and the reason behind is its assured quality and the reasonable price. The bike specially created a sensation in rural areas meeting the demands of the people. 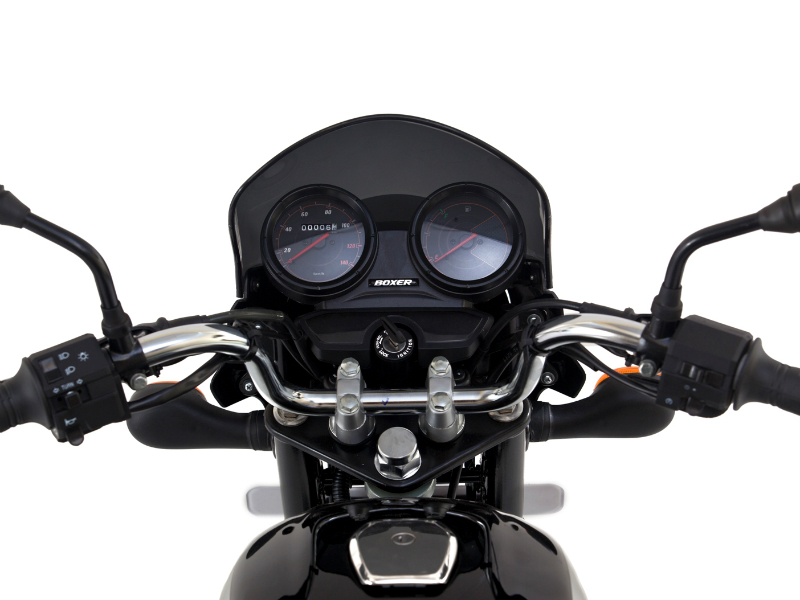 Although not much can be discussed about its design, the motorbike guarantees the quality provided by it. This low maintenance, rigid bike is for the people who look for the best at lower price. Bajaj Boxer BM 150 comes with efficient 144.8 cc, single cylinder, two valve, 4 stroke engine which generates the maximum power of about 12 Bhp at 7500 rpm and the highest torque generated is 12.26 Nm at 5000 rpm. This power obtained from the engine is made to reach the wheels through 4 speed gears. Compared to all the attractive and classy bikes of today's generation, the Bajaj Boxer BM 150 follows a very simple looks. The round headlamps, broader seat, stylish tail lamp, sleek design of the exhaust pipe are noted features of the vehicle that adds value to it. The graphics on the fuel tank is other plus point as it adds style to the vehicle. This bike is perfect for Indian roads as it is light in weight and the 17 inch wheels used provide good road grip. Further the quality suspension system of the motorcycle including front telescopic and rear 100mm wheel travel SNS assures smooth driving even on bumpy roads. The disc braking used is other major plus point as it gives greater control to the rider. The powerful Bajaj Boxer BM 150 is a fuel efficient vehicle which gives the mileage of about 60 kmpl. 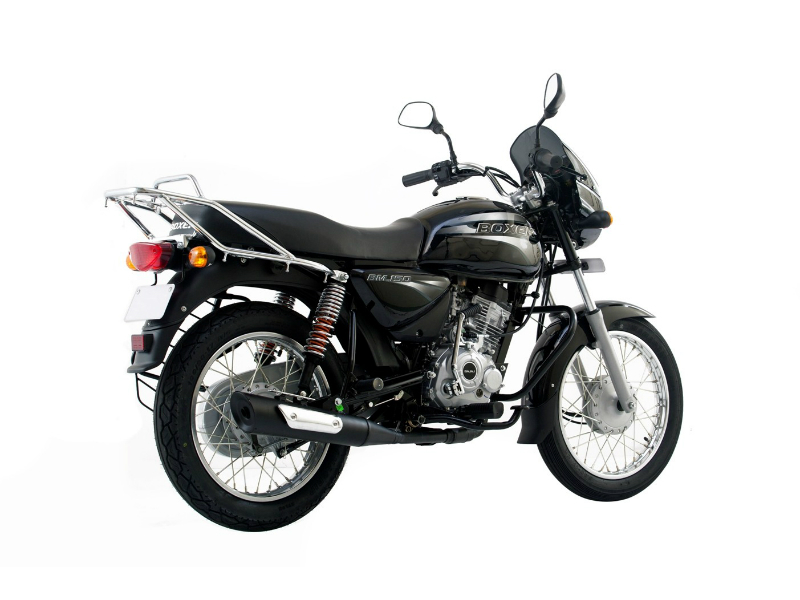 This trendy motorbike is available in only one color that is black. The ex-showroom price of this vehicle is about Rs. 45,000.